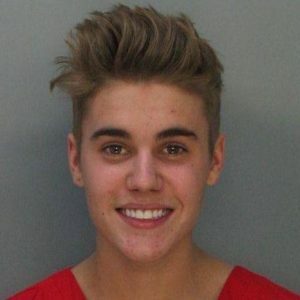 The fallout from Justin Bieber’s Thursday arrest continues with the 19yo being charged with driving under the influence, driving with an expired license and resisting arrest “without violence,” according tocop reports. 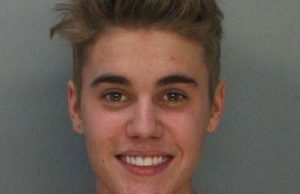 The teen superstar admitted to smoking the wacky tobaccy, drinking beer earlier in the night and having prescription drugs in his system. Soon after the arrest PopFocal exclusively reported that an online petition had been created and the creator had President Obama clearly in his sights. The online petition at www.petitions.whitehouse.gov was setup by William Proscia of Brooklyn, NY after he was sick and tired of seeing this brat get away with everything but murder. Proscia continued his well thought out rant and sent it through to PopFocal. As a parent I cannot ignore two facts. 1) we are all lucky nobody was killed by a 19 yr old who has allegedly admitted to drinking alcohol smoking marijuana and taking prescription drugs before getting behind the wheel of a Lamborghini. 2) Justin Bieber seems to have no remorse for his actions, only further evidenced by his behavior leaving the court house (jumping on top of an SUV and blowing kisses). A 6 month suspension of an already expired license is not a consequence, its a joke. A proper consequence is our government also condemning his behavior in the interest of possibly saving the motorists and pedestrians who may be exposed to his misjudgments but also him by revoking his work visa and booting him out of our country. Does Proscia have a point? 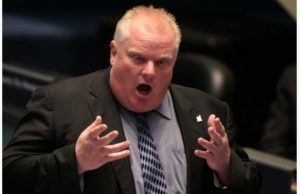 Or is he being a Fuddy Duddy? Let us know in the comments section below. Proscia’s right. Law should be the same for everyone. Discriminated law is no law at all.